Laudamotion promotion - one-way flights from just €1! Cheap flights from Athens to Asia already for €256 or Australia €379! Cheap flights from Dublin to Northwest United States from €434! Laudamotion promotion – one-way flights from just €1! An Austrian low-cost carrier Laudamotion has announced new promotion claiming to offer disocunted one-way flights already for just €1! Note that this is a “Black Friday Week” sale promotion available only this week. Laudamotion offers its service from bases in Vienna, Berlin or Dusseldorf. For example you can book return flights from Dusseldorf or Berlin to Palma de Mallorca for just €2! As you probably know this is a low-cost carrier so no hold bag nor meals included. (But including all taxes and fees). Laudamotion offers the cheapest flihgts from November 2018 to February 2019. .Also expect only very limited seats on each route so you need to be really quick and flexible.. Follow to this link in case of booking or to read complete conditions of this promotion. 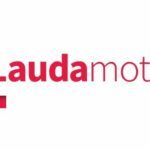 Booking sample of Laudamotion promotion – one-way flights from just €1! 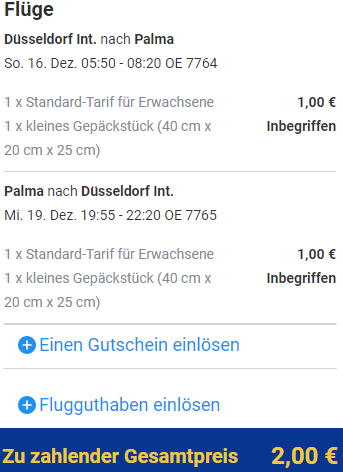 In this case you would book super cheap non-stop flights from Dusseldorf to Palma de Mallorca for just €2 return. You would depart from Germany to Mallorca on 16th of December. Inbound flight back to Dusseldorf on 19th of December 2019.